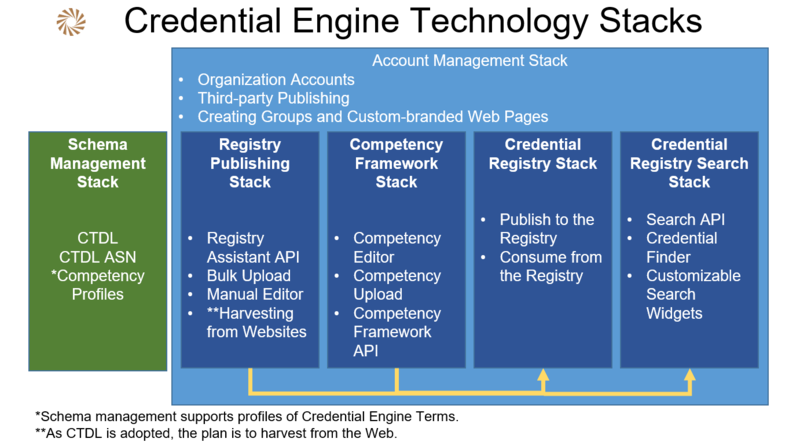 What is the Credential Engine Registry? The Credential Engine Registry (or just "Credential Registry") is a blanket term for both a repository of information regarding credentials and a set of services that make it easier to use that information. Anyone can access data in the Credential Registry, and with an approved account, you can also publish data to it. Data in the Credential Registry is recorded using the CTDL metadata schema. If your system can "speak" CTDL, then it can take full advantage of all the information the Credential Registry has to offer. 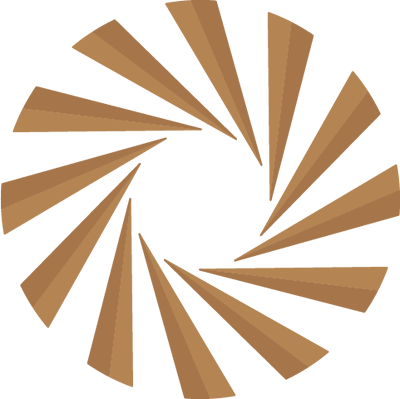 The Credential Registry is operated by the Credential Engine, a nonprofit organization dedicated to maintaining both the registry and CTDL. The word "credential" has a variety of meanings. Our official definition of "credential" is "A qualification, achievement, personal or organizational quality, or aspect of an identity typically used to indicate suitability." This means that we cover a broad range of credentials, including degrees, certificates, licenses, and many more. It's important to note that when we talk about credentials, we're not talking about something that someone has earned. Rather, we're talking about the description of a credential in the abstract sense. In other words, the Credential Registry would have data about a given bachelor degree offered by a given college, but it would not have data about your bachelor degree that you earned in a specific year or place. The Credential Registry is not a store of personal information or of personally-obtained credentials. Our use of "credential" also covers quality assurance (again, in the abstract sense) that a given organization offers or performs. In other words, the accreditation offered by a state institution can be considered a credential that some school might earn if it meets the requirements. CTDL is short for "Credential Transparency Description Language." It is a schema (a type of mini-language that people and systems can use to understand each other even if their data comes from different sources) that anyone can use to share information about credentials and credential-related information. The Credential Registry leverages CTDL to provide a common and unified way of describing the data it contains, but CTDL is also meant for use by the world at large, beyond the Credential Registry. Soon, search engines will be able to understand CTDL whenever they encounter it embedded in the metadata of webpages. This powerful feature will make it dramatically easier for students, businesses, researchers, and automated systems to discover, understand, and compare information about credentials from a variety of sources. For more information, check the References below. Why do I want to use the Credential Engine Registry? With the Credential Registry, you will be able to get information about a variety of credentials and credential-related information that would otherwise be very difficult to collect and maintain on your own. The Credential Registry sources its data from the organizations that own and manage the credentials in order to keep its information accurate and up to date. The Credential Registry also maintains an archive of previously-published information so that data about older credentials can still be referenced. With an approved account, you can share information about your own organization and the credentials it manages. This will enable your organization and its credentials to show up in the systems of anyone else that uses the Credential Registry, making it easier for anyone interested in what you have to offer to find you. Even if you choose not to participate directly in the Credential Registry, you can still benefit from using CTDL to describe your organization's credentials in the metadata of your organization's website. If you are interested in seeing the raw data the Credential Registry has to offer, you can access it right away with the Query Helper (Hint: try the "Sample Queries" to get started). This is a technically-oriented tool meant for developers, so you can actually see what goes into (and comes out of) real queries to the Credential Registry. If you are interested in contributing data to the Credential Registry, you should first take a look at the Key Classes and Properties Mapping Guide and the CTDL Explorer. For beginners, the Publishing Assistant Guide will walk you through making use of a special API that abstracts away some of the details of CTDL and makes it easier to map and publish your system's most important credential data. Once you're comfortable with CTDL, you may consider publishing raw CTDL to the Credential Registry directly. The Credential Registry Handbook will get you started. If you simply want to put CTDL metadata on your website and have it picked up by search crawlers, the Publishing Assistant Guide offers a "Format" API endpoint for all of the major classes that can make it easier to map your system's data to CTDL. This API won't publish to the Registry; instead, it formats your data in CTDL and returns it to you. You can then embed this data in your webpage with a JSON-LD script tag. Of course, there's nothing wrong with publishing to the Registry and putting the data on your page - in fact, we encourage this, as it ensures maximum exposure and discoverability of your information. Where are the reference materials?